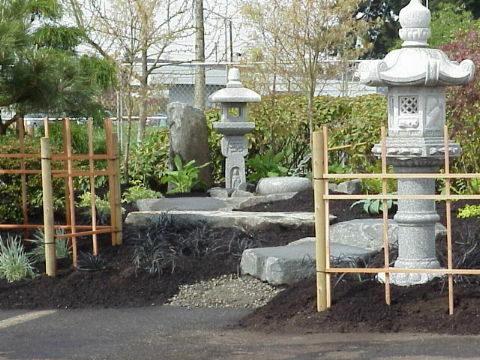 The following are some examples of an exhibit built with Tsuki Nursery's products at a recent flower & garden show. 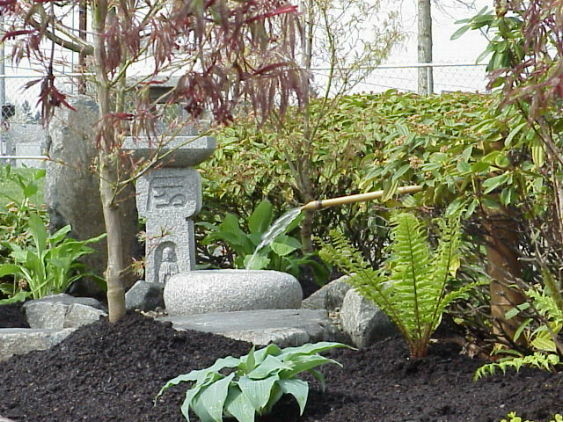 The exhibit is a Japanese Entry Garden with an Oribe lantern and a Tsukubai water feature. Several trained black pines were also included. 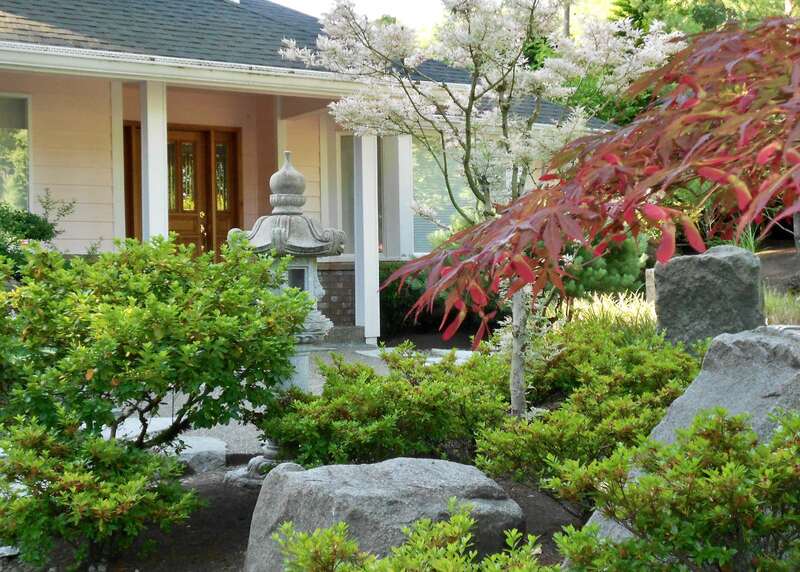 The following are some more examples of entry gardens.